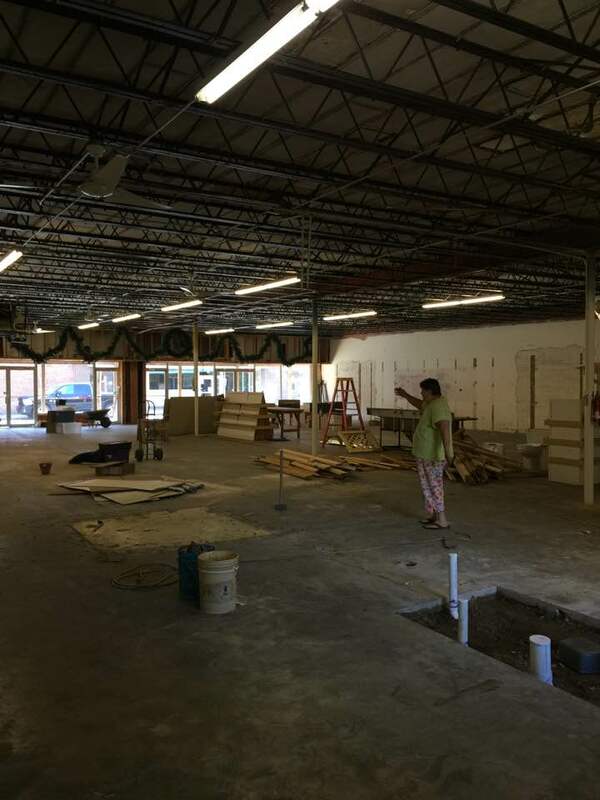 This photo shows Carol Carroll, Rendezvous Event Center owner, pointing to the open space created by removing all existing walls and fixtures in the building now being converted to become the event center. This photo shows the newly installed underground plumbing drainage in the area that will become the event center bathrooms. 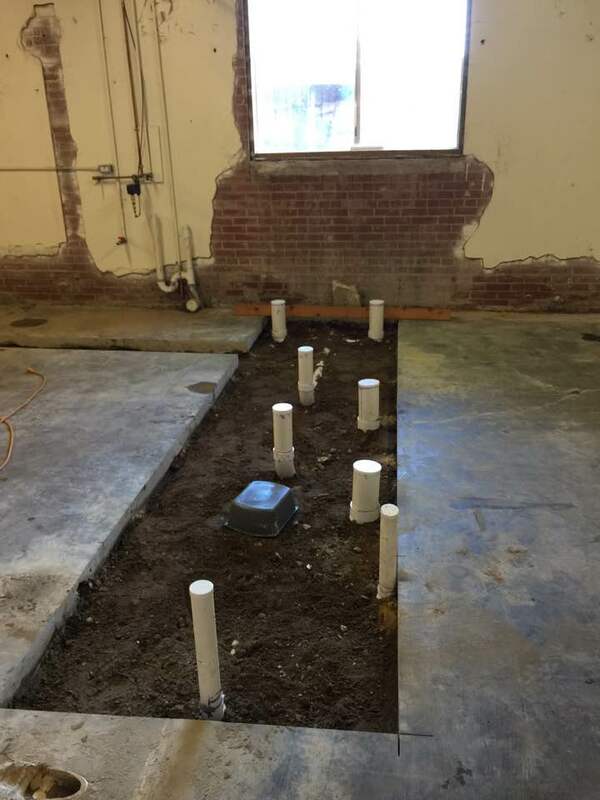 Next step is to pour new concrete to repair where concrete was removed to install the under-floor drainage.